What Are Some of the Best Gifts for People with Hearing Loss? 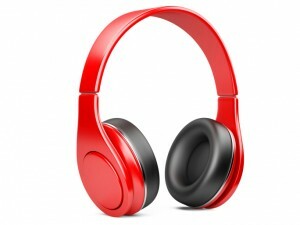 Headphones are one of the best gifts for people with hearing loss! Do you know someone with hearing loss? Whether it’s a friend or a loved one, finding them something to make their lives easier can be difficult. It doesn’t have to be a holiday gift, either. It could be a birthday gift, or a simple present to let them know you care, and that you’re thinking about them. What are some of the best gifts for people with hearing loss? Consider These 5 as the Best Gifts for People with Hearing Loss! Earbuds and Earphones: One of the best innovations in hearing technology is wireless technology. Earbuds and earphones can be wireless thanks to the magic of Bluetooth. Although they can be expensive, these types of earbuds and earphones can also be a great boon for anyone with hearing loss. Music and phone calls will be easier for them to hear. Noise-canceling headphones are another great idea too. Especially when it comes to mild hearing loss, being able to block out all noise might be able to help. TV Headphones: TV headphones are another form of an assistive listening device. They connect directly to the TV. But they don’t connect physically, yet again Bluetooth comes to the rescue. Through Bluetooth or the wonders of radio signals, sound can be transmitted from the TV straight into the headphones. Alarm Clocks Meant to Overcome Hearing Loss: Most people with hearing aids do not sleep with their hearing aids equipped. Thus, waking up when an alarm goes off can be challengingly tricky. Bluetooth-enabled vibrating alarm clocks can work, as they can connect with cell phones or smartphones. Thus, users can feel their alarms instead of having to listen to them. light-up clocks, meanwhile, can use bright lights to rouse sleepers instead. Jewelry for Hearing Loss: A fun way to deal with hearing loss is to wear specialized jewelry. Innovative and delightful, such jewelry can be subtle or bold, just like the people who wear them! Decorations for Hearing Aids: Like jewelry, decorations can be another fun way to deal with hearing loss. These are especially great for younger users, who may be less keen to wearing hearing aids. This entry was posted on Friday, May 5th, 2017 at 1:27 pm. Both comments and pings are currently closed.